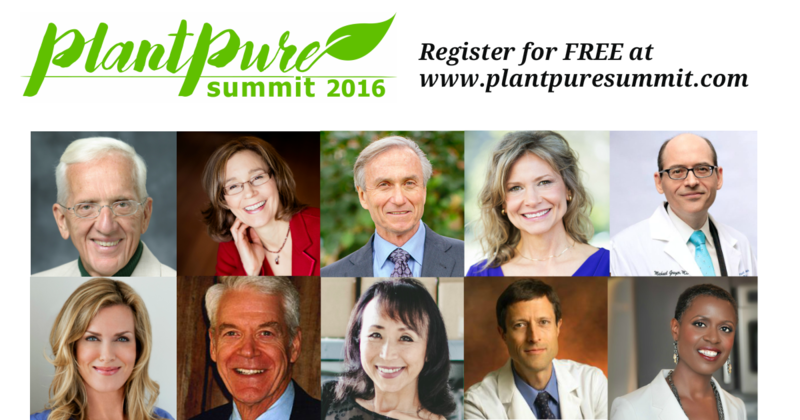 Thank you for joining us at the Plant Pure Nation Summit! Beneath the banner below, please accept my gift for you and download your free preview copy of The Plant-Based Journey: A Step-by-Step Guide to Transitioning to a Healthy Lifestyle and Achieving Your Ideal Weight. The doctor recommended and dietitian recommended The Plant-Based Journey: A Step-by-Step Guide to Transition to a Healthy Lifestyle and Your Ideal Weight has already gone to its second printing and is being printed in Russian as we speak – with more languages on the way. 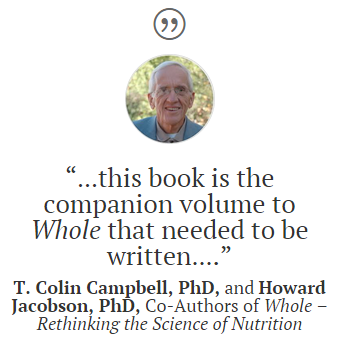 The Preface, by T. Colin Campbell, PhD, author of The China Study, and Howard Jacobson, PhD, co-authors of Whole: Rethinking the Science of Nutrition. The Foreword, by Neal Barnard, M.D. The Introduction and Chapter One, by yours truly, which introduces the 5 Steps of the Plant-Based Journey, dives into the ‘whys’ and gets those plant-based journey juices flowing. When my Whole contributing author and co-writer of this preface, Howard Jacobson, told me that Lani Muelrath was working on the book you now hold in your hands, I knew it was the companion volume to Whole that needed to be written. 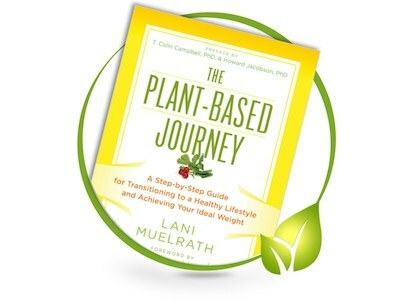 Lani has been on the plant-based journey far longer than we have (decades, in fact, before I coined the phrase “whole food, plant-based” to describe more accurately than “vegan” the dietary pattern shown to promote individual and global well-being). As she humbly writes, she’s made all the mistakes so you don’t have to. It’s one thing to have a guide who’s already mastered the path you’re about to walk; it’s another thing entirely when that guide has devoted herself to understanding how and when and why people succeed and how, when and why they stumble. Lani’s own transition to a whole food, plant-based lifestyle and subsequent health, energy, and fitness are admirable and instructive. But it’s her experience coaching thousands from initial awakening to unconscious competence that makes her a powerful partner on your own plant-based journey. As researchers, we have long love affairs with valid data and validated theories. We’re happy to report that this book contains both. Not only has Lani scoured the medical and nutritional literature to present her case for a plant-based diet, she has also devoured the literature on habit formation and behavior change, exercise physiology and brain function, and psychological processes of decision making. The most useful data, however, comes from Lani’s own research. She surveyed over 1200 people at various stages of the plant-based journey, to discover what they found helpful, what strategies did and didn’t work, and what advice they’d give to someone just about to take the first step. 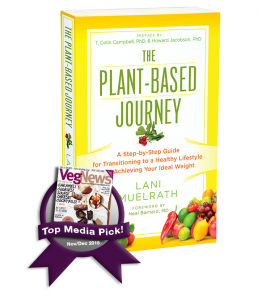 If you are just starting out, or finding yourself struggling to eat in accord with your knowledge and your values, or looking to take your plant-based game to the next level, The Plant-Based Journey is your new best friend…”* …and lots more.